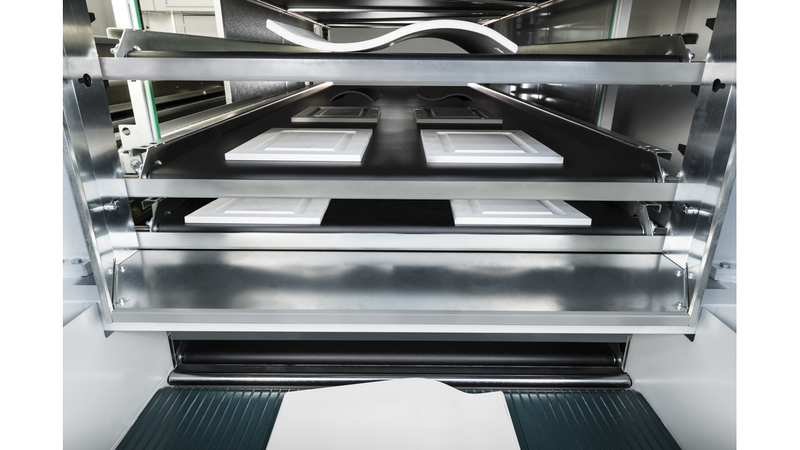 OMNIDRY, the final frontier in vertical oven design, provides the revolutionary capability for fully automatic management of piece height, while retaining all the outstanding characteristics of a standard Cefla vertical oven. It can carry out all three stages (flash off, drying and cooling), even for coatings that need longer drying times, while minimising the use of floor space. The number of trays can be varied from 16 to 168.